CHARLESTOWN NEVIS (January 07, 2010) — Premier of Nevis Hon. Joseph Parry, told Nevisians that although 2010 came with challenges, it also brought along hope, change and opportunity but hastened to urged them to continue to exercise prudence. Mr. Parry who is also the Minister of Finance in the Nevis Island Administration (NIA) gave the advice recently in his New Year message. He also called on civil servants and Government workers to continue to be conscious of the challenges and urged them to work harder to exercise even greater financial prudence with resources in 2010. “Even while we grapple with the recession and its consequences, the Government has seen this as an opportunity to make change and to launch a new direction for the economy,” he said. The Premier pointed to a number of new projects which would provide job opportunities for Nevisians among them the Charlestown Shopping Centre development, the construction of a marina at Cades Bay and a health medical centre at New River and the commencement of several tourism related projects in Barnes Ghaut/Cotton Ground and other parts of the island. He said the Private Sector had demonstrated its confidence in the sitting NIA and planned to expand their activities on Nevis. “We will see the expansion of the Brown Hill Communications Centre to employ another 100 persons, the continuing construction of the Valuemart Complex in the Bath Plains area and the construction of a new building for the Bank of Nevis,” he said. Mr. Parry also noted the St. Kitts-Nevis Social Security Board’s plans to construct a complex in the Pinneys area and the construction of the Government’s Fine Arts Theatre in addition to the Government’s ongoing stimulus package. 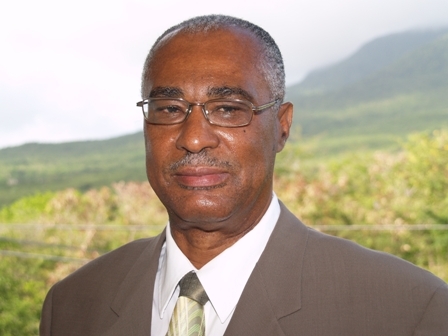 He said though much had been achieved, the NIA’s goal in 2010 was to continue growth through private sector initiatives; consolidate its position with geothermal and wind energy; maintain an acceptable level of employment on the island; continue to promote and support education, health and people initiatives and to continue to work with the Police and other agencies to reduce criminal activities to a level where everyone would endure peace, quiet and harmonious living, all qualities cherished by Nevisians.